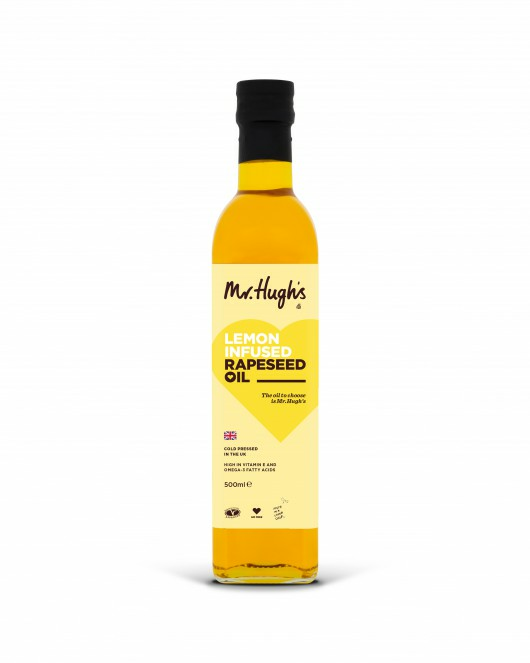 Cold Pressed Rapeseed Oil infused with the rich flavours of Lemon. Our range of Baking Oils contain less saturated fat than butter and allows cakes to retain their moisture and last longer. Brussels Sprouts (named after the Belgian city of Brussels) is a classic ingredient used around the Winter season, and perfectly compliments a traditional Christmas or Sunday lunch. Here at Mr.Hugh's, we've chucked out the rule book and gone nuts with our Winter Brussels Sprouts & Nutty Bacon. However be warned; this recipe, combined with our Hazelnut Infused Oil will be a hit in your home, and you may end up cooking for everyone again next year! Here's a gluten and dairy free version of our very popular zingy Lemon Drizzle Cake, by Janet Ellison.